ONE-KEY enabled, this is the industry's first impact driver that wirelessly connects to a smart phone to provide unlimited customization and control of the tool's performance. The ONE-KEY Mobile app features predetermined set-ups for specific fasteners and materials, or provides complete control over output speed and power to customize the tool for the specific application at hand. Once the desired output performance is reached, the custom profile is then saved to the memory of the tool and the connection to the smart phone is no longer necessary. The tool's memory supports up to 4 custom profiles that can be easily accessed with the touch of a button on the tool. Your custom profiles are also saved in the cloud so that they can be accessed at any time. 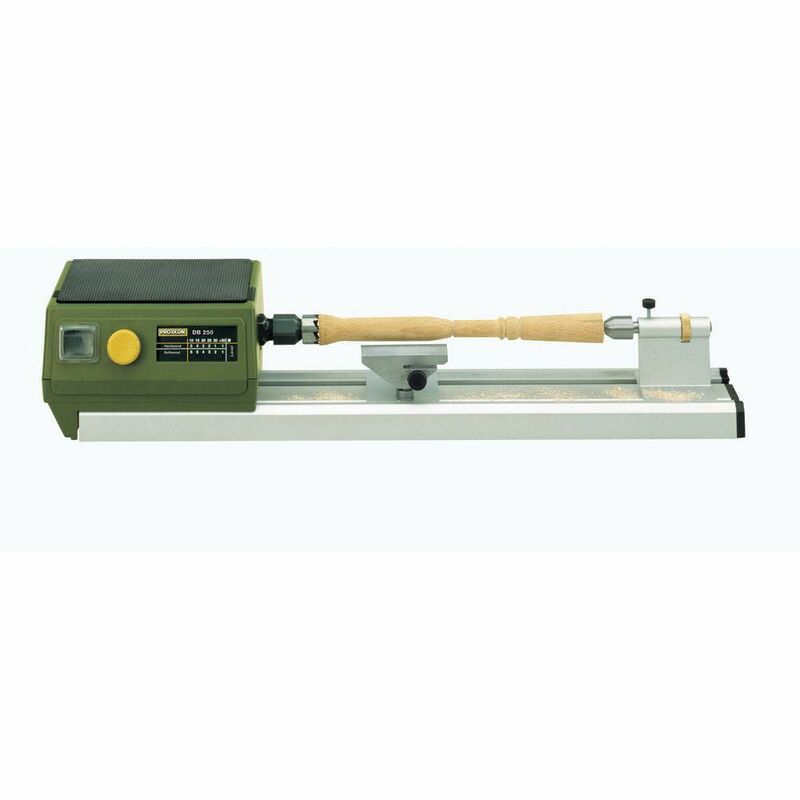 MICRO Woodturning Lathe DB 250 is rated 3.0 out of 5 by 2. Rated 5 out of 5 by otter from Eureka! When I read reviews on this product, I wasn't sure. Home Depot said it was returnable. This product is great! My husband secured it permanently on a board. There is no problem of the lathe being too light or moving. I am successfully using an Anker duplicator with templates. I can slow the speed down to paint small stripes on my dollhouse size pieces. If you want to do small things, I would recommend the Proxxon Lathe. It took me 5 months to get this combination together. It is small, convenient, and consistently works well. Rated 1 out of 5 by wscaboose7 from too small and light weight for use Too small , not heavy enough or big enough to turn pens on, very unhappy with product and returned it.